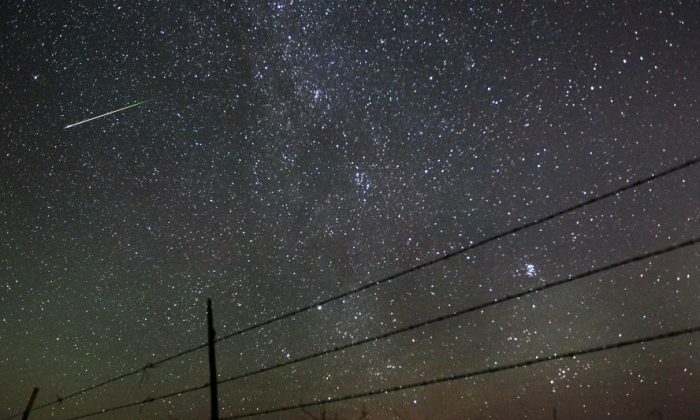 CAPE CANAVERAL, Fla.—The heavens will be bursting with shooting stars this week. The last Perseids outburst was in 2009. Thanks to a gravity nudge from Jupiter, debris from comet Swift-Tuttle could stray closer to Earth again. These scattered specks of dust — a trail in the comet’s wake — are what flash as they enter the atmosphere at a mind-blowing 132,000 mph and burn up. Scientists hope to capture the action with a new instrument at the International Space Station. The U.S.-Japanese experiment’s name is appropriately named Meteor. To watch, one can head over to Slooh to see a live stream.